Wind Power Cost: Is It WORTH It? Wind is a special form of solar energy. The uneven topography of the earth’s surface, its rotational movement and the uneven distribution of heat amongst the different layers of the earth’s atmosphere leads to differential heating of the earth’s surface. This results in leaving some parts warmer than the others. Like, the equator is always hotter compared to the cooler, snow capped poles. The hot air in the warmer areas becomes less dense, light and hence rises up. This upwardly movement of the hot air creates a vacuum which is then and there occupied by the cold and heavier air from the cooler parts. The movement of air caused in this phenomenon is called wind and is essentially a form of energy called kinetic energy. This kinetic energy is captured and harvested by modern techniques as wind energy. And the conversion of this wind energy into a reusable form like electricity is called wind power. Since wind is the resource, the wind power cost involved is an interesting subject to ponder upon. How costly is wind power? Wind power is the fastest growing electricity resource nowadays. Likewise, the cost of electricity generation from the utility-grade wind energy systems has dripped by more than 80%, which is no doubt a lot, over the past 20 years. The initial wind power cost when the wind turbines were fist installed in the 1980s was around thirty cents per kilowatt-hour, which has now come down to as low as five cents per kilowatt-hour. Yes, this miracle has happened thanks to the high tech machines that are being devised for generating electricity from wind power. However, the wind power cost is seeing a gradual decline as new machines with smarter technology and larger wind energy plants at first-class locations are being introduced for the purpose. Apart from the cost effectiveness, wind power volunteers for other economical benefits that assure its competence in the long run. Wind being a natural, source with a free and uninterrupted supply, the power generators free us from our obvious dependency on the fossil fuel plants for electricity which are rather having supply breaks quite often these days. The trust on wind power is thus rest assured. The environmental wallop that the conventional power plants hit is also reduced per unit of electricity produced by the wind energy turbines thus making resource planning a very vital decision to be taken. Even the land required for installation of the wind power plants are rented by the farmers which is indeed a long term income. The land leased for the wind power plants is only used partially and the framer and ranchers can still continue with their farming without any hassles thereby yielding dual income! A cost effective wind power generation bets on the selection of a suitable site. The power generated is directly proportional to the wind speed, thus a site with a wind speed of at least five to seven meters per second is desirable to generate a adequate supply of power. A clever and smart financing can easily reduce wind power costs. If obtained on the same terms as that of financing gas power plants, wind energy expenses can be reduced largely. Also owning a wind project by a utility helps in a substantial reduction of the wind power cost. Like, when owned by a wind developer, a standard 50MW wind plant would deliver wind power as a rate of 5 cents per kilowatt-hour. The same plant when financed by an investor-owned utility (IOU) would deliver power at a 30% reduced rate which is as low as 3.5 cents per kilowatt-hour. 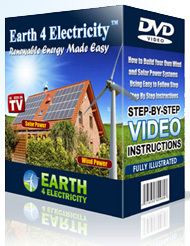 Save the earth at a lower cost! When comparing between a wind power plant and a coal power plant, the former gets more points in the favor of saving the environment from air-polluting agents like greenhouse gases and acid rains causing visibility degradation and global warming. The minute dust-particles released in coal emissions have more deadly effects on the human beings like respiratory and cardiovascular disease, asthma all leading to an increased mortality rate. Being a clean source of power, wind is highly accepted worldwide. Coming to the wind power cost, it’s much less than that involved in the coal power plants. The first and foremost and possibly the biggest plus point of wind power is that it is a non-polluting resource which is free and can be renewed ‘n’ number of times. Apart from saving power, wind power generators are also easy on the economy as equated with the fossil fuel plants since they have a minimum life-cycle cost like no fuel purchasing and minimal operating expenses. Last but not the least, wind power industry is still quite fresh in the market and would need to create a long term contract in this power regeneration domain so as to reduce the finance cost by lowering the market risks.